In Stock - Order before 2pm for same day dispatchWant it on Wednesday 24 April? This best-selling, missionary biography series - Christian Heroes: Then & Now - chronicles the exciting, challenging, and deeply touching true stories of ordinary men and women whose trust in God accomplished extraordinary exploits for His kingdom and glory. 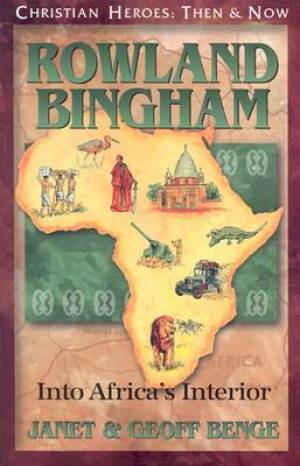 Rowland Bingham by Janet & Geoff Benge was published by Frontline Communications in August 2003 and is our 37252nd best seller. The ISBN for Rowland Bingham is 9781576582824. Be the first to review Rowland Bingham! Got a question? No problem! Just click here to ask us about Rowland Bingham.